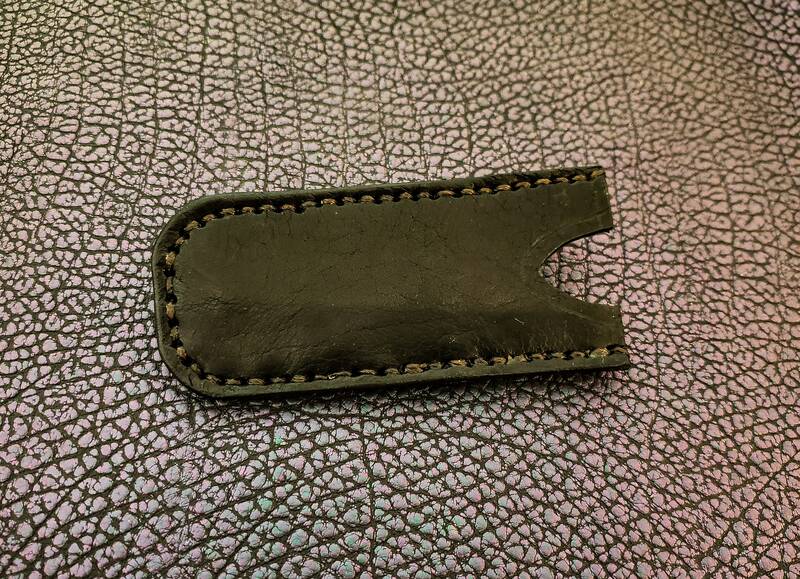 This is a simple leather sleeve that fits the Benchmade Proper, or any other similarly sized knife. 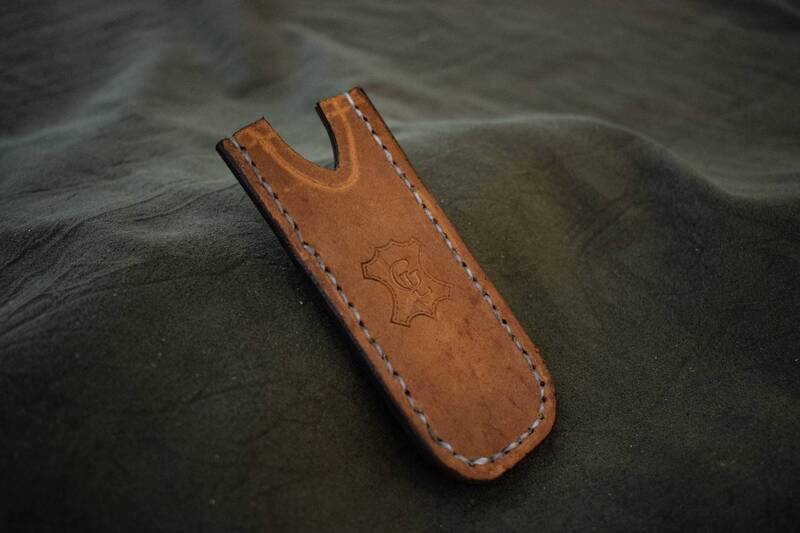 This version of the sheath features a steel pocket clip, for ease of access. 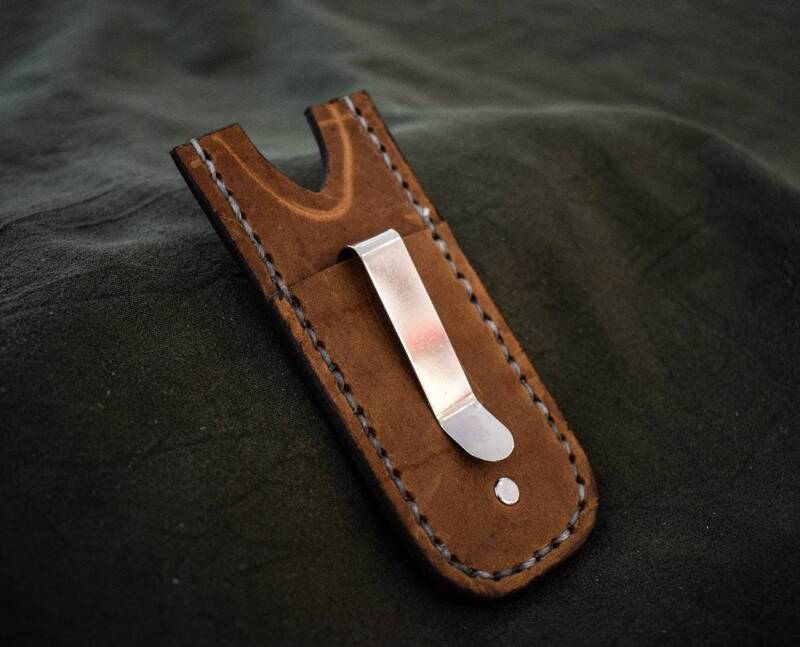 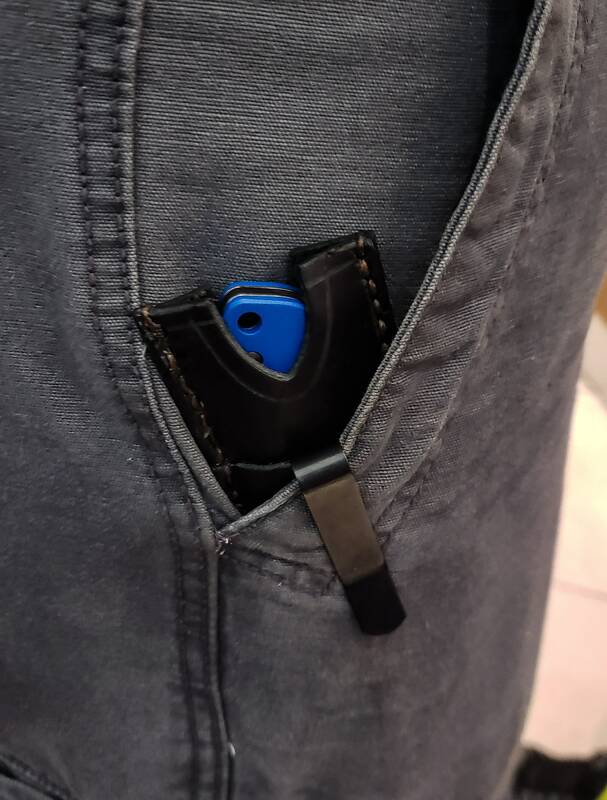 The sleeve is a comfortable way to keep your knife safe in your pocket, as the Proper and most other slip-joint knives do not have pocket clips. 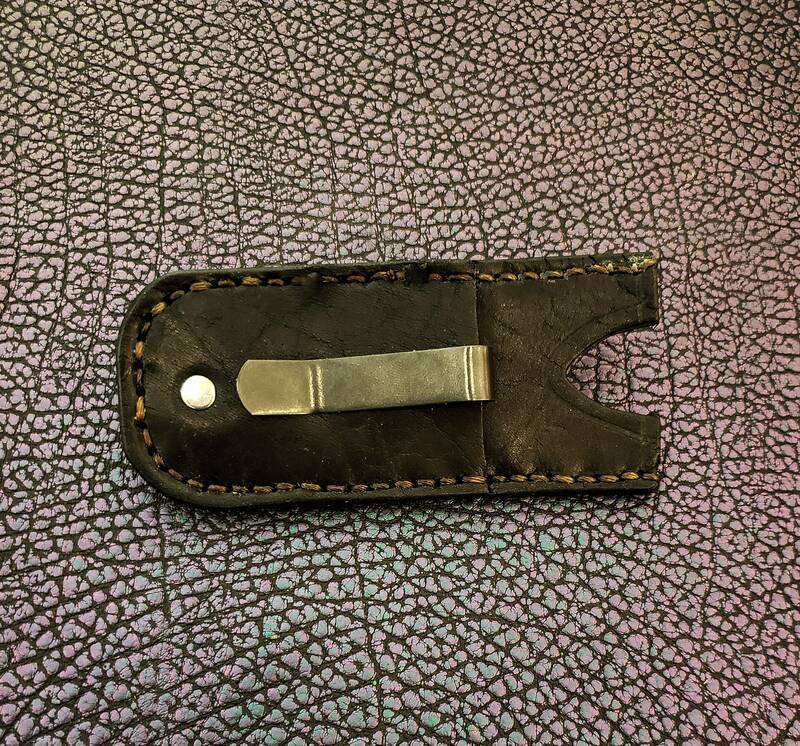 Each sleeve is made of 2-3 ounce vegetable tanned cowhide, and can be dyed a number of different colors, with several options for stitching colors.